Camino Groups is the Irish company that brings the Camino to you , making it both affordable and fun! Camino Groups is a fully licensed and bonded travel agency, giving you security and peace of mind with your booking. We believe that the people who have walked with us should be the people to inform you on the service we provide! Whether it’s an individual, as part of our escorted groups or a school group, their words tell a greater story then we ever could! Check out their testimonials! Our price promise is easy to make as we have already seen it proven – we guarantee that, on a like-for-like basis, we will better the price provided by any other Camino company! If you want to make an individual booking for 1 or 2 or even for a small group, we’d love to hear from you! If you’re a school or other group, you’re certainly in the right place! Let us redirect you to our Schools page. If you would like to experience the Camino as part of a group, with an Irish guide with you every step of the way, then you need to have a look at our escorted tours. Our 2019 tours are now available for booking, but places are limited, so hurry up! Is comhlacht Éireannach muid agus táimid bródúil as seo. Más mian leat turas a eagrú linn tré mheán na Gaeilge, ba bhreá linn labhairt agus cabhrú leat. Finally, just a few things we’d like to add before we let you go! Our itineraries include flights/accommodation/airport transfers/bag transfers/travel insurance and food (if a booking is required). We book your flights at cost for you (No booking fees or third party commission – now there’s something pretty unusual for a travel company!). The pilgrim passport we use is issued by Camino Society Ireland and is the only officially recognised Irish passport – we are delighted to support them in the great work they do in promoting the Camino in Ireland. Out travel insurance is the Premier Plus policy provided by Blue Insurance – the highest level of cover provided by Ireland’s largest travel insurance provider, at a discount to you of over 65% off market price! We thought you’d like to know, that’s all! Finally, we invite you to explore our site and to contact us – even if you don’t end up travelling with us, we might be able to help you on your way. Let our experience help to shape yours! Sonas Travel Ltd. (Company No. 540757), trading as Camino Groups, is licensed by the Commission for Aviation Regulation (License No.TA0748) in Ireland and has its registered address at Ballyea, Inagh, Co. Clare, Ireland. 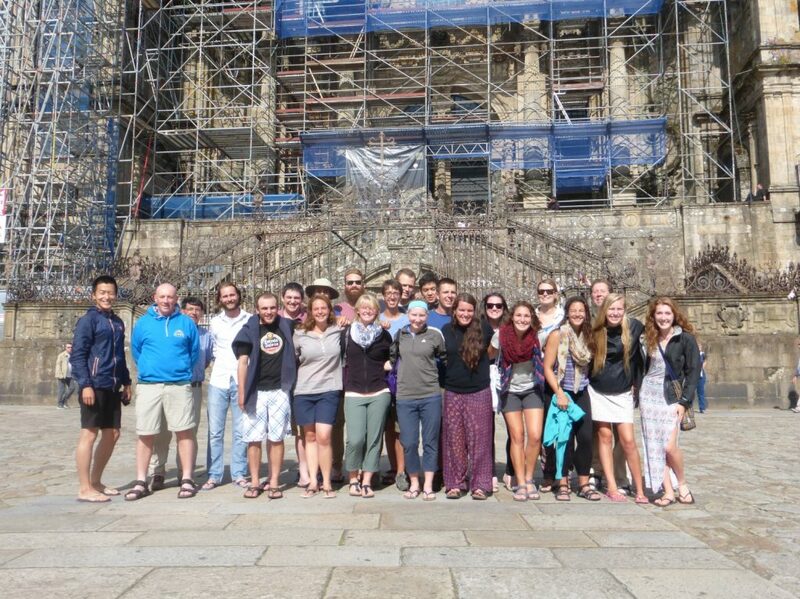 © Copyright 2014-2015 Camino Groups. All Right Reserved.